I'm sure that some of you have already used custom swing controls in Forms applications to enrich them. But have you tried to use JavaFx together with your Forms application? JavaFx has cool effects, animations, controls, css styling and much more. If you enter 'oracle forms javafx' or similar, in your favourite search engine, you get no specific results. 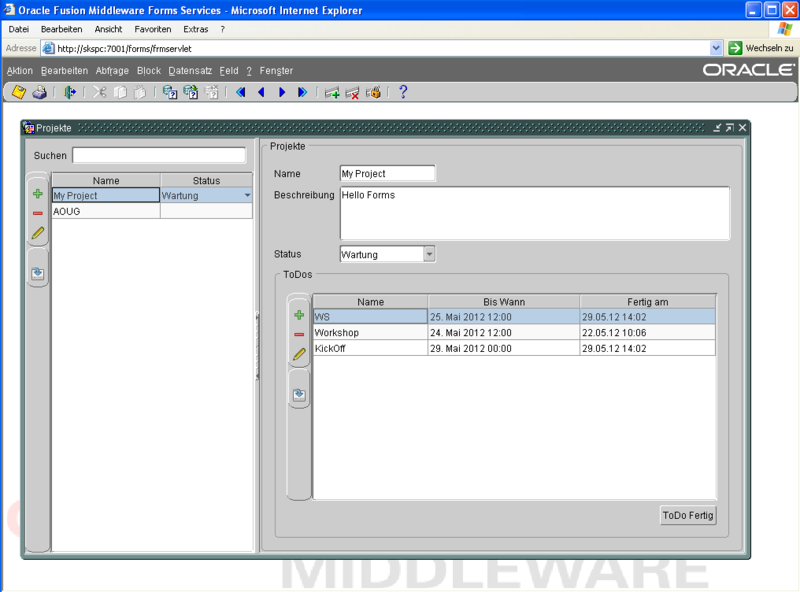 So I think it is time to integrate JavaFx to an Oracle Forms application, isnt't it? We used the source code from the official example, that integrates JavaFx in a Swing application. 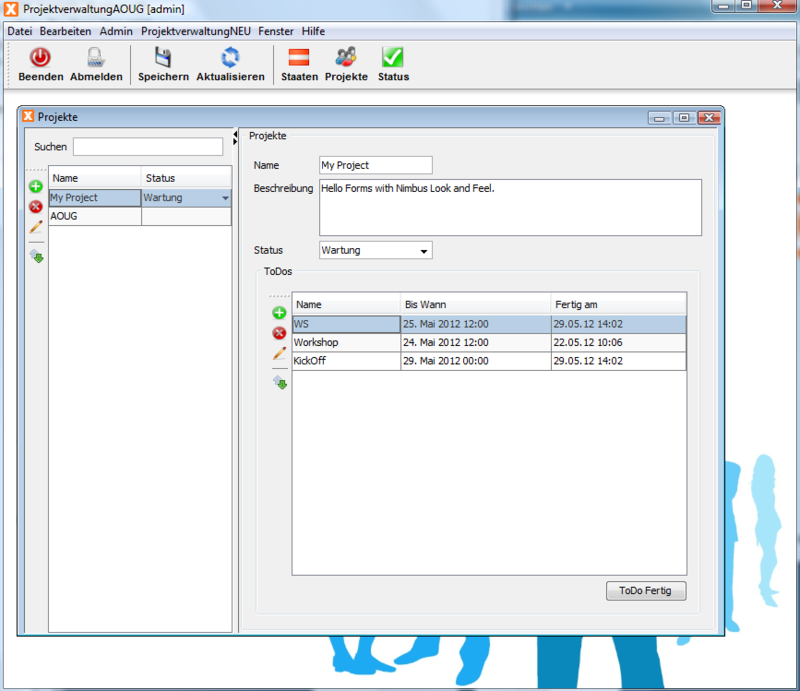 The result of our integration is a screen that contains Swing and JavaFx controls. If you change a value in the table, the chart is updated immediately. It is really cool because the chart has nice transition effects. You can combine rapid application development with modern controls and new development concepts. 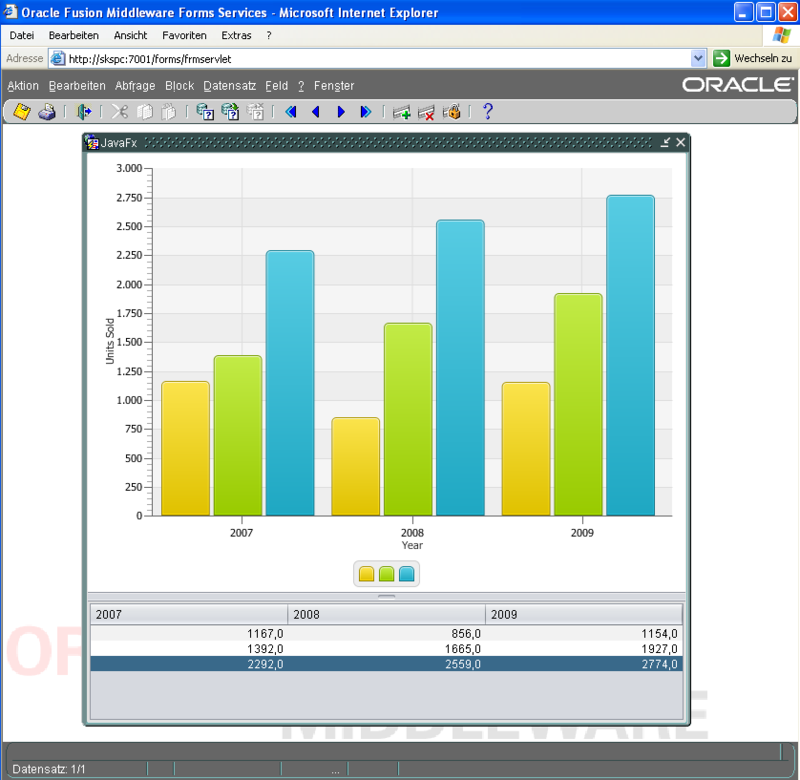 The good old Oracle Forms UI does not look really cool. Of course, you can use nice icons and choose the right colors, but the controls are not fancy compared to swing controls. If you try to to migrate from Oracle Forms to Java, wouldn't it be great to migrate one screen after the other. 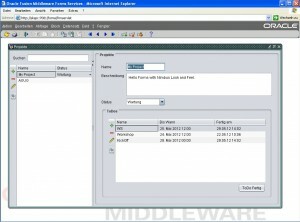 Or better, create new screens with Java and integrate them in your existing Oracle Forms application. Use both technologies as long as is necessary. Don't think that you have to migrate the whole Oracle Forms application, migrate step by step. 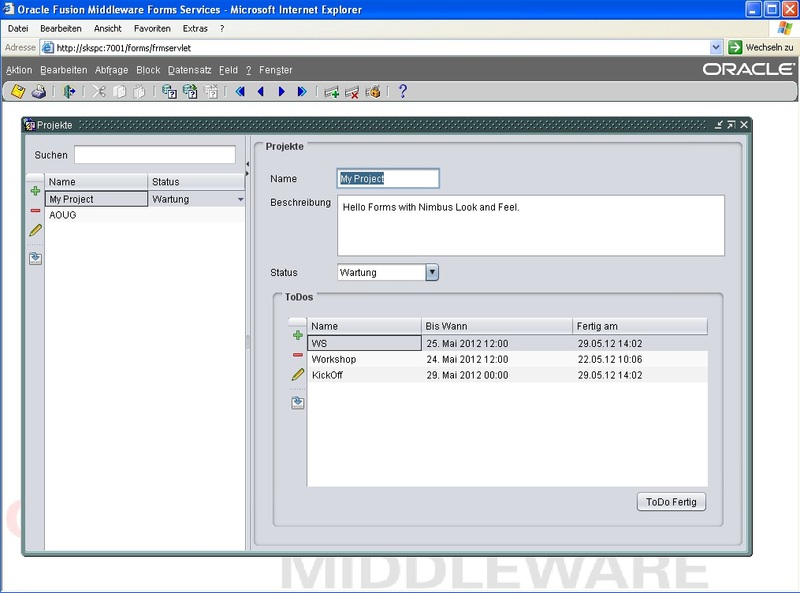 It is absolutely possible to use your new screens in your Oracle Forms aplication or as separate application without Forms. 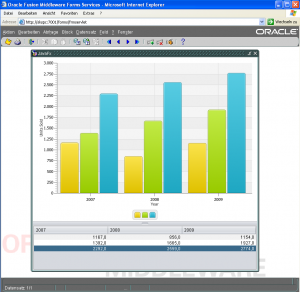 Save time, money and don't replace your existing Oracle Forms developers. You would like to see how this can look like? The scource code is online. Thanks to Stefan for his great work! Check out the project page. In the coming weeks we will finalize the documentation and build the binaries. You find the JPA integration and a complete example application in the repository. Our new project is created and we are preparing the source upload. It's the integration of JPA 2.0 in JVx. Create professional backend software with JVx and use your domain model which is already available in your Java EE based web application. With JVx EE you can use the configured EntityManager and JPA implementation of your web application. Reuse your existing DAOs or EAOs without changes in your application. Do you need a professional backend application for your existing web frontend? Use JVx and your problems are solved. You get all advantages of JavaEE in your JVx application. JVx EE is licensed under Apache License 2.0. Do you have any questions? Let me know. What does JVx stand for? We were never asked what JVx means, neither on conferences nor via social media - until yesterday! So we simply reveal the secret. JAX is a well-known conference about Java, so we were a little creative and turned the A to a V.
We used Hudson for nightly builds since the first day of JVx. The hudson server was an internal server, so the reports were "private". We have never liked it! You see the JUnit test reports, Checkstyle reports, Code Coverage reports and FindBugs reports.